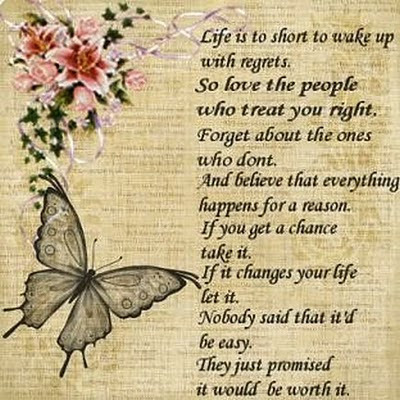 Life is to short to wake up with regrets. And if something like the image below is on your agenda for tonight, please be careful and safe butterflies. Don't get behind the wheel under the influence, and don't get in any car if you feel the driver is inebriated! If you are creating an online vision board, I'd love to see it! If you are game to share yours, please post the link as a comment below! FTC Disclosure: This is NOT a sponsored post. This is NOT a compensated post. Happy New Year Everyone! Hear Hear , Love those sentiments. Happy and safe: not to mention blessed New Year to all !! !